Employees in UCR’s Counseling and Psychological Services (CAPS) department await the results of negotiation requests in these next two weeks between the University of California (UC) and union representatives that will decide the future of their jobs. An anonymous source close to CAPS told the Highlander that the UC representatives have failed to appear thus far in any one of a series of six meetings between the UC Office of the President (UCOP) and University Professional and Technical Employees (UPTE), a university staff union that covers 12,000 UC workers across California. 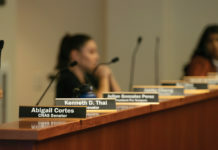 A failure to renegotiate contracts for CAPS employees could result in the undermanned department’s inability to hold on to existing staff, and a reshuffling of UCR counseling facilities. The employee contracts, which expired on Oct. 30 and 31, have reverted to a “status quo,” which prevents management and the UC bureaucracy from making any working condition or wage changes without consulting UPTE representatives. Any changes in workplace conditions could expose UCR to Unfair Labor Practices (ULP) litigation brought against the university by UPTE. By negotiating contracts with UPTE, the UC and UCR can resume normal operation without risk of a ULP lawsuit. Among UPTE’s proposals are calls for increases to UCR’s low-wage schemes. In a memorandum providing an update on bargaining with UCOP and UCR, UPTE claims that even with a scheduled 2 percent wage increase, many UCR employees would continue to make below $15 an hour, placing them on-par or below many of their student employee counterparts. 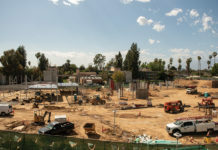 Additional action includes a push for better health benefits and increased awareness of “unsafe work conditions that were clear OSHA violations.” The latter has been addressed with calls to UCR labor relations representatives to follow up on these violations before OSHA violations are filed. 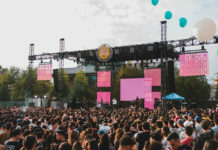 UCR’s CAPS department has been particularly affected by the failure of previous contract negotiations, according to the source. In a June meeting between UPTE, CAPS staff and the UCOP representatives, CAPS staff were allegedly informed that their department was not considered a priority nor at risk of understaffing. UPTE hopes to submit salary offers to UCOP in the next two weeks. Once a reply is received, union members hope to approach the bargaining table with the UC before January 2018. Due to UCOP’s alleged lack of urgency and delay in responding to requests for negotiation, however, the unnamed source expressed doubts that the meeting will happen before 2018 begins. UPTE has meanwhile affirmed their commitment to continued dialogue in the aforementioned memorandum published online. The document includes a list of behaviors which can be cited as grounds for ULP legal action, and instructs employees to report any violations to union negotiators. Correction: This article was corrected to reflect the expiration on contracts occurred on both Oct. 30 and 31. A negotiation date has not been set and will be determined pending negotiation requests.